The streets of Kowloon by night. 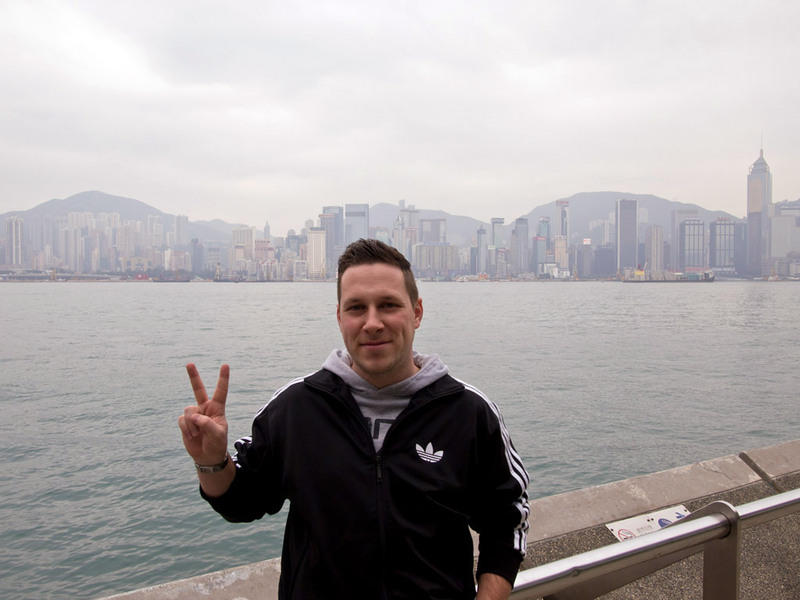 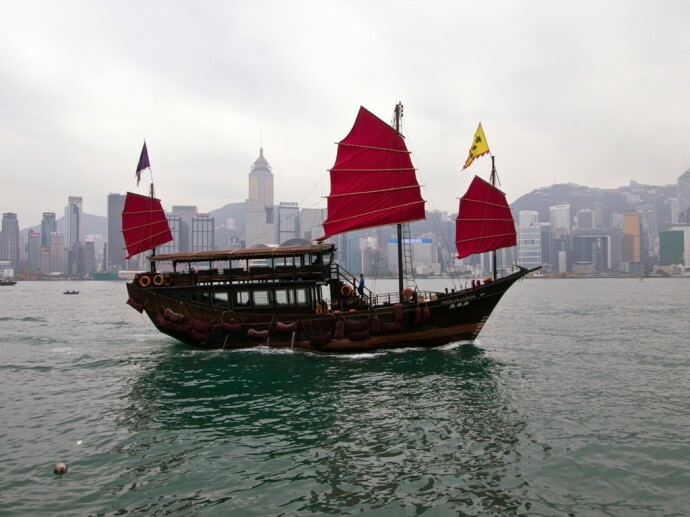 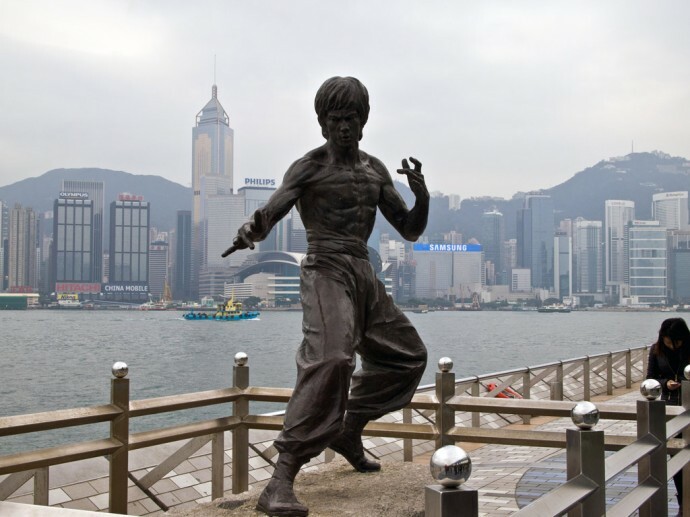 Tobi, a junk and the skyline of Hong Kong Island. 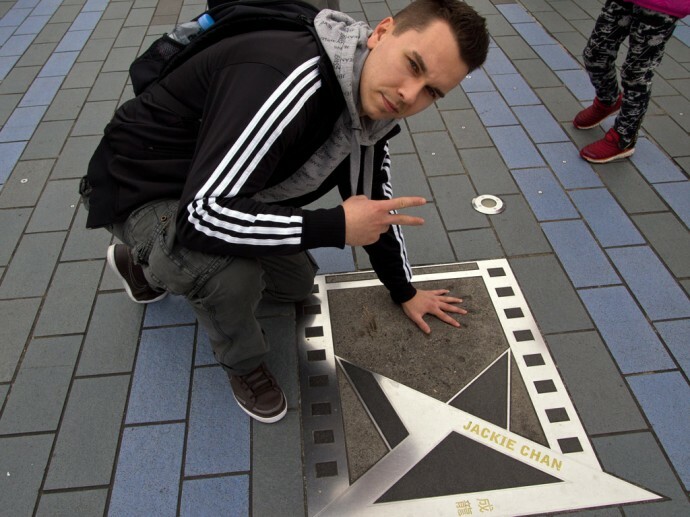 Marcel, Jackie Chan and Bruce Lee on the Avenue of Stars. 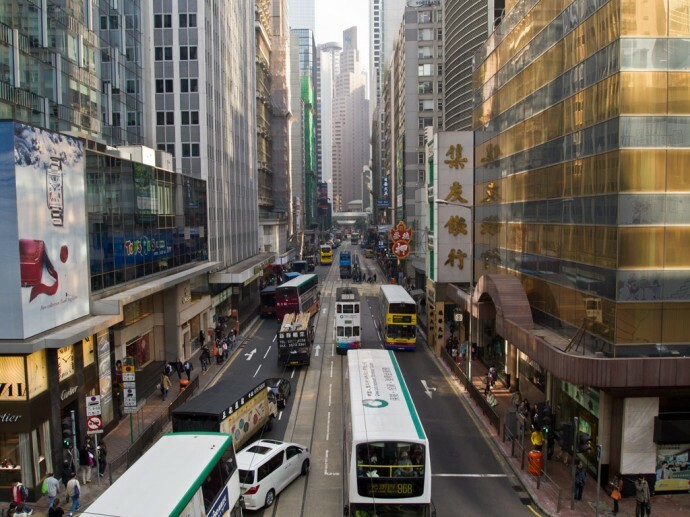 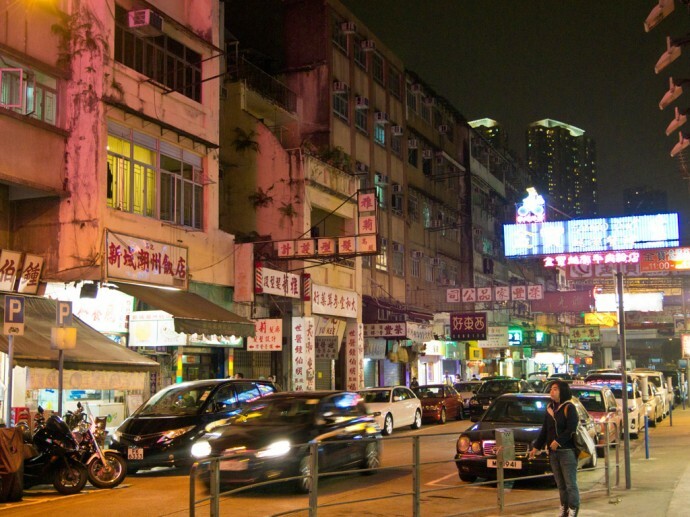 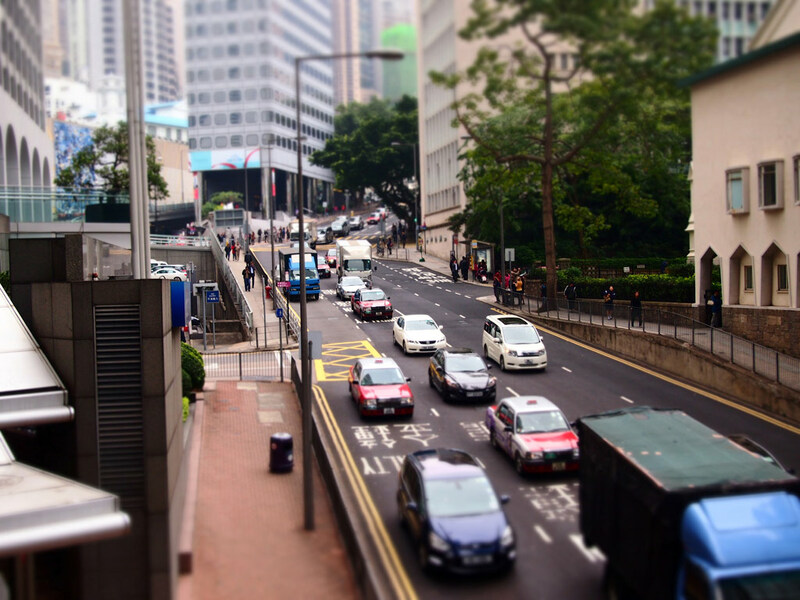 Typical street scene in the Financal District of Hong Kong Island. 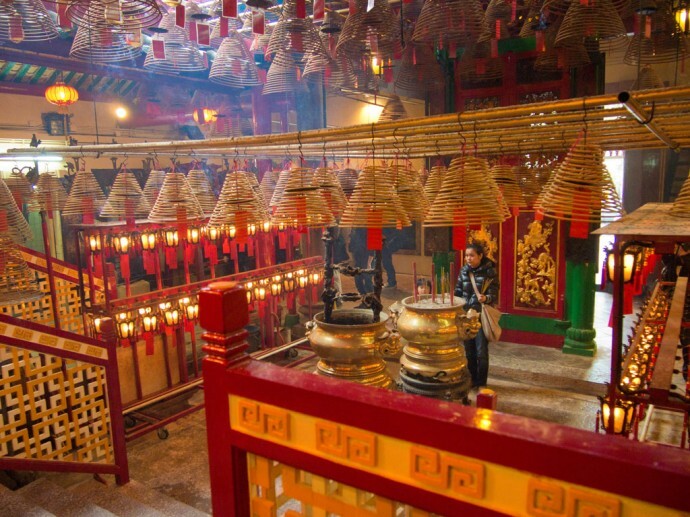 Inside view of the Taoist Temple “Man Mo”, one of the oldest in the Hong Kong area. 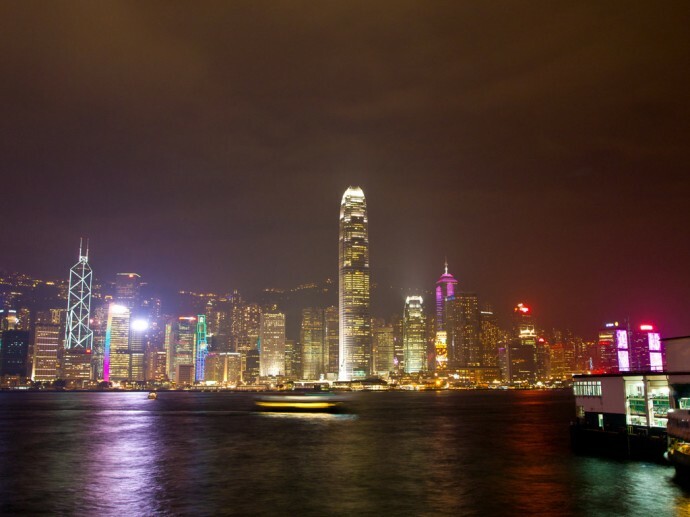 The nocturnal skyline of Hong Kong Island from the Kowloon Pier.